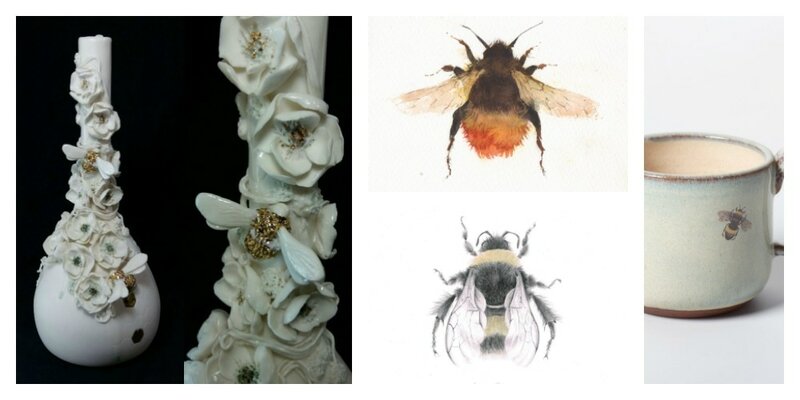 We're creating a bit of a buzz with “BEe Special”, a two week feature show, a contemporary view of Britain’s favourite pollinators alongside the “In The Garden” exhibition. 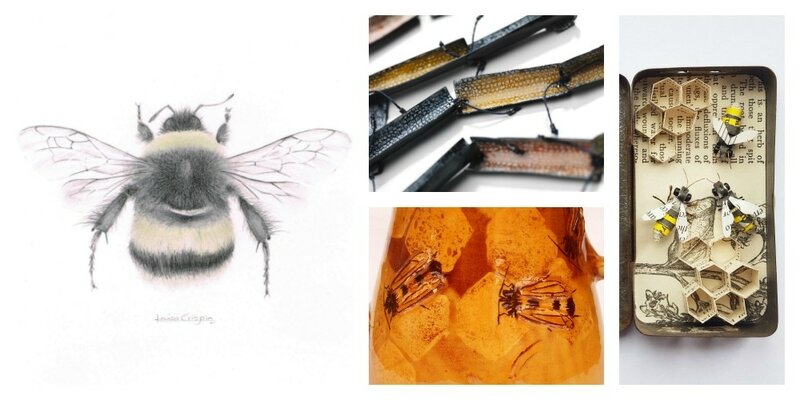 There are around 250 species of bee in the UK with many more worldwide but they are complex creatures with some subtle variations and, like us, they go bald as they mature, making identification even harder. Dr Nikki Gammans, who runs a bumblebee identification course, is trying to reintroduce the short haired bumblebee to the British Isles; it was declared extinct here in 2000 with the last recorded sighting in Dungeness in 1988. The project is a combination of habitat regeneration, education and controlled reintroduction from Sweden. It is still early days but working with local landowners has already shown improvements for other bees: England’s rarest bumblebee, the shrill carder bee, has returned to the Dungeness area after a 25-year absence and the large garden bumblebee has come back after ten years. It’s hard to draw these creatures without identifying with their plight. Nikki has been invited to host a talk about bumblebees on Thursday 18th May, contact us for tickets.